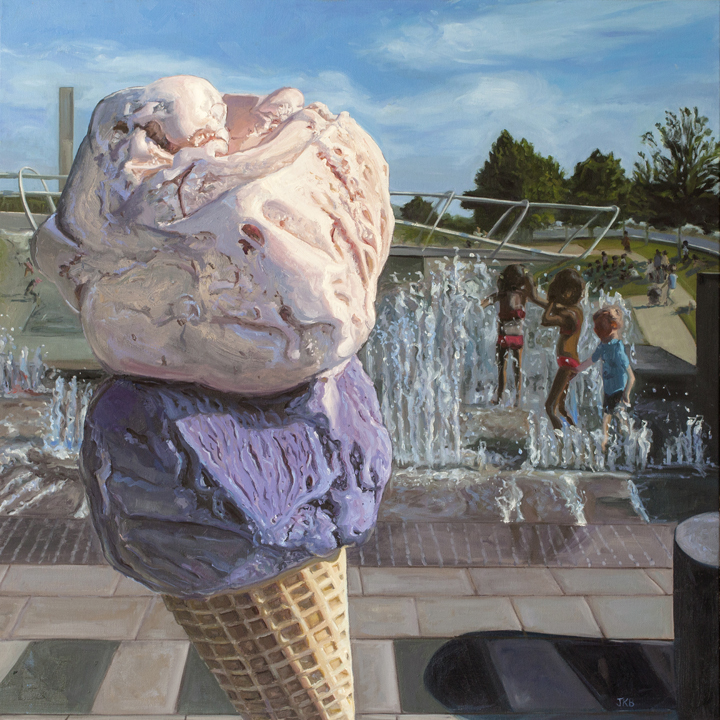 My paintings of confectionary distill precious moments from the normal chaos of daily life. The indulgences I render in oil on canvas, speak simultaneously to a powerful cultural trend as well as a personal challenge. As a mother of two young children, time is the most elusive of all commodities. Its value is made commensurate through my rendering of sweets. ! The French Macaron, my primary source of inspiration, has emerged as a metaphor for all of my desires for indulgence temporarily placed on hold, due to motherly duties. Composed amongst many of the trappings of daily life (reading glasses, coffee cup, tea set), these delicious oases offer a brief hiatus from life’s daily operations. Holding on to these glorious indulgences in a permanent state of joy is the goal of so much of my work. ! My most recent paintings focus on balancing my own desires with those of my family. As a parent, responsibilities are never complete and downtime is often placed on hold without a moment’s notice. I seek to capture the full splendor of life, its brief indulgences, as well as its harder-won rewards. Jennifer Kahn Barlow is an award winning oil painter and mother. 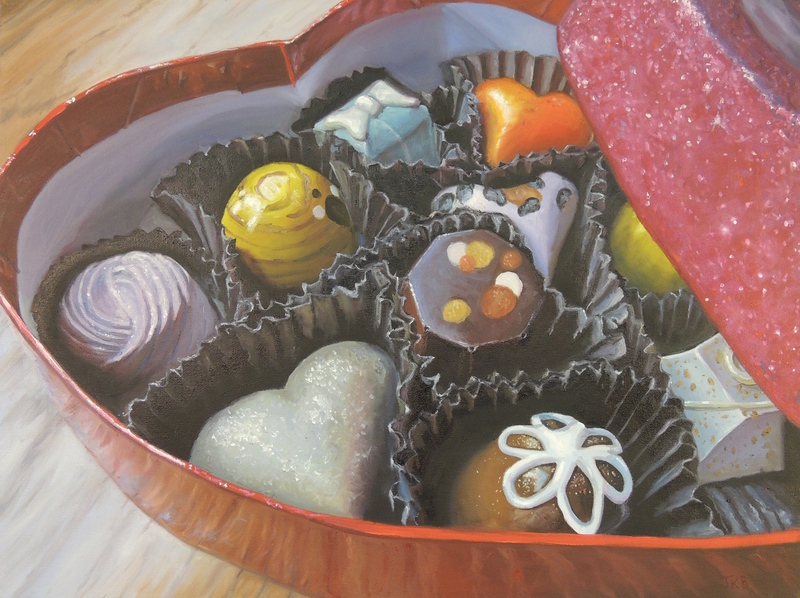 Her works are intimate, bold, and focus on the sweeter things in life: confectionery. Jennifer Kahn Barlow first found her love for painting at 7 years old. Through her youth, at Skidmore College, and throughout her career in the corporate world, Jennifer continued to pursue her passion for painting. Since the birth her daughter in 2008, Jennifer has focused her aspirations on her artistic skills and career. Under the tutelage of Michael Francis, Kurt Swartz, and most notably, Glen Kessler, Jennifer has grown tremendously as an artist. She has also had the privilege of studying with Alyssa Monks, Cindy Procious, and Duane Keiser. 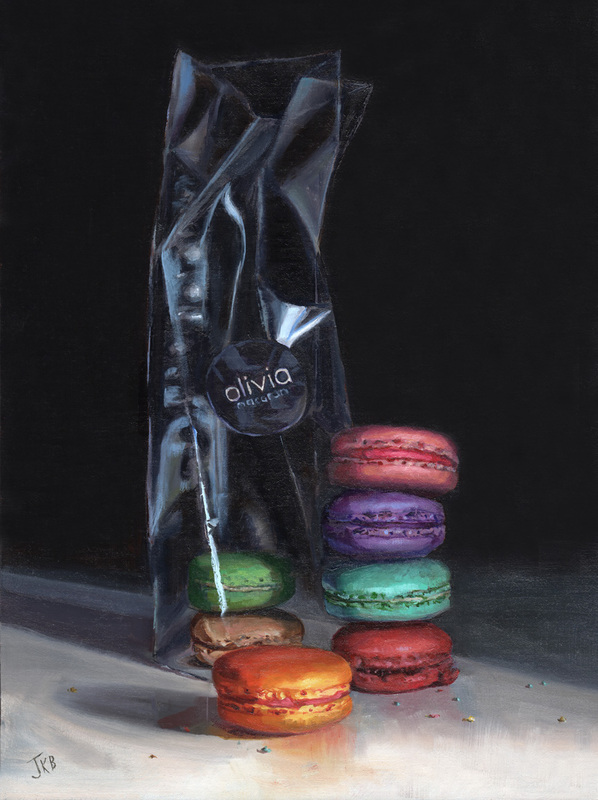 Jennifer immortalizes life's most delicious moments in oil on canvas. Delicious moments are those special instants when one savors the precious things that surround them: family, friends, a great view, or a delicious treat. 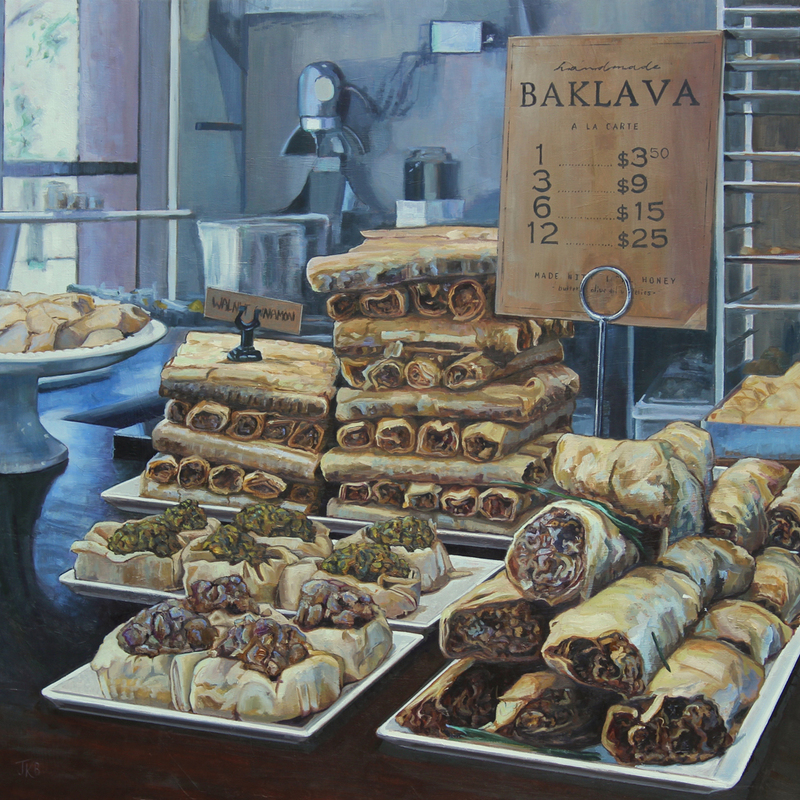 Her passion for painting food and confections that distill these moments from the normal chaos of daily life allows her work to be the voice of today's visual foodie. Showcasing these glorious moments allows Jennifer to also share the state of joy, awe, and sweetness that life exudes. Jennifer's artistic presence is continually widening. 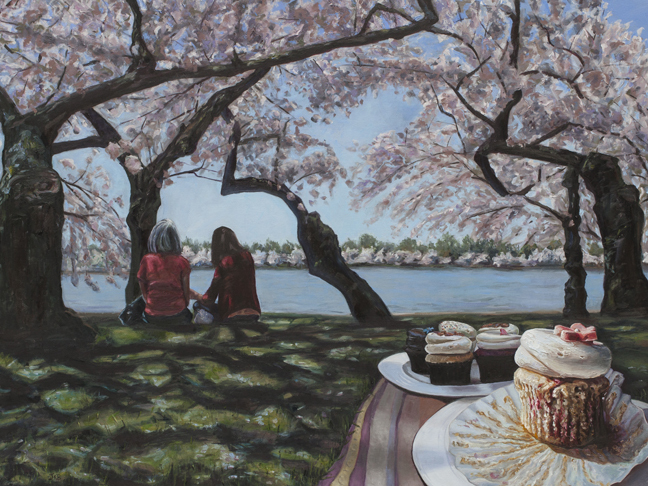 Jennifer's solo, main floor exhibition, "Capital Palette" at The Mansion at Strathmore in 2016, focused on DC's fabulous dining scene and its spectacular views. 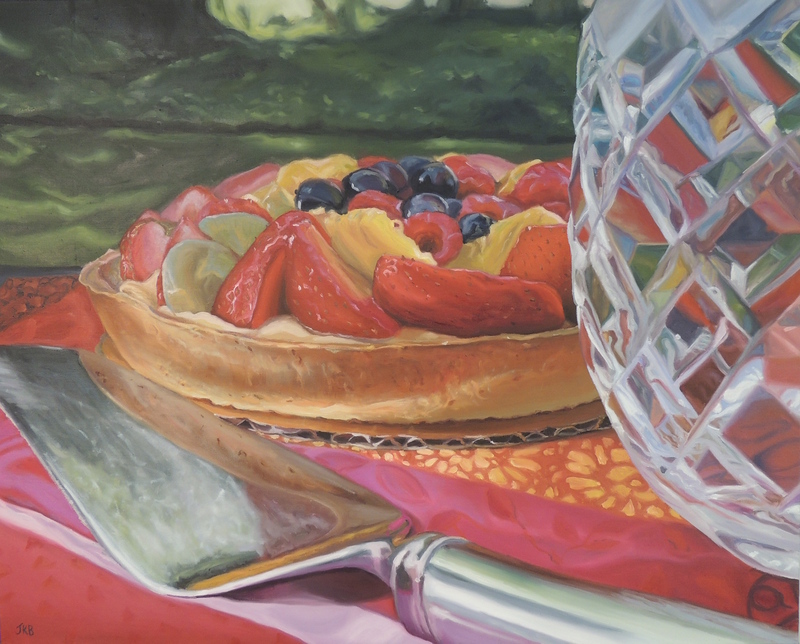 She has been featured in Washingtonian and Professional Artist magazine and included in the select Strathmore 2015 Exhibition, "Women Chefs: Artists in the Kitchen." Jennifer has won numerous awards, her paintings have been exhibited in solo and group shows throughout the Mid-Atlantic region, and reside in numerous private collections. Currently, Jennifer works out of her home studio in Potomac, MD.